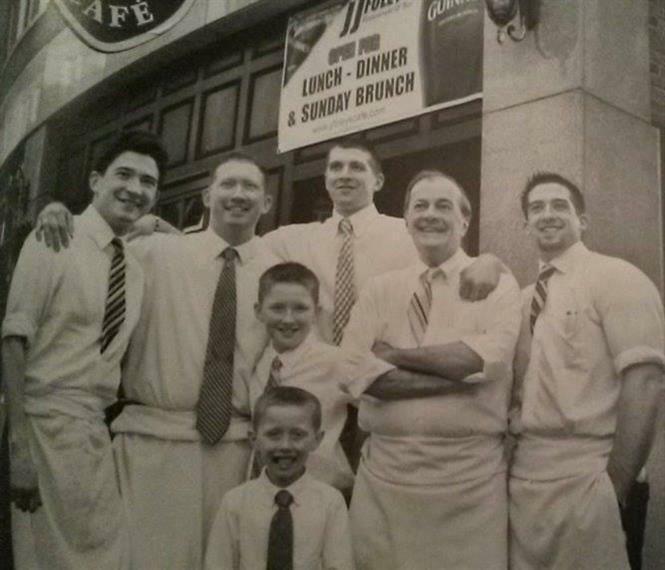 Family-owned and operated since 1909, we're located at 117 East Berkley Street in Boston’s South End. 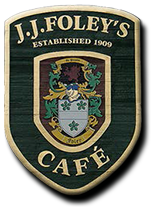 Here at J.J. Foley’s Cafe, we pride ourselves on offering delicious food, great drinks and the friendly service that has represented our long-standing family tradition since 1909. When you walk into J.J. Foley’s you not only feel that you are in an authentic Irish pub, but you get a real sense of the history of post-modern Boston. While either visiting our comfortable seated dining room, great for large parties or intimate dinners, or joining us in our classic pre - prohibition bar where you can enjoy a great pint while watching your favorite sporting event or playing your favorite song on Touch Tunes; there is something for everyone to enjoy at J.J. Foley's Cafe! We offer a wide range of seasonal menu choices including grilled pizza, appetizers, salads, burgers, homemade desserts and creative daily specials in addition to a fine Guinness and a wide selection of beer, wine and spirits. If you’re looking to host a private party or corporate event we will help you give your guests a true Irish-American experience.